Good Dog in a Box is a dog products company with its roots in positive reinforcement dog training. The company offers an in-home dog training product for families with kids and dogs as a subscription box. Monthly deliveries in the mail and via an online account, gives clients the ability to improve their relationship with their dog. Happy families with happy dogs means less dogs surrendered to animal shelters, is what this company is all about. Good Dog in a Box has a positive message and a great purpose. Let’s keep family dogs out of animal shelters, by giving their owners the education, knowledge, and support needed to live a happier and healthier life together. 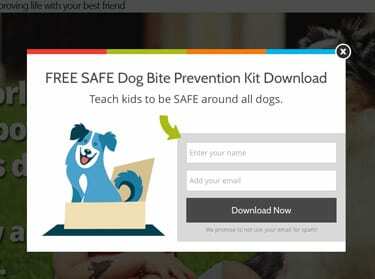 The company’s main product was designed for families with kids and dogs, so it required a fun, engaging, visual delivery of what could be a scary subject to kids, dog bite prevention. I will say at the beginning, that this project has had a special place in my heart. Jenn Merritt, Good Dog in a Box’s cofounder and head of curriculum, is my sister, and this is a venture we conceived together. 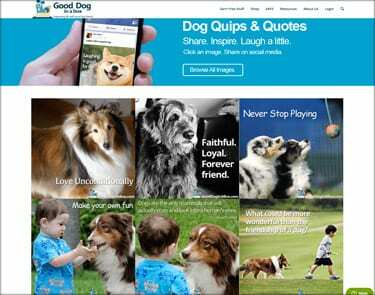 I was really put to the web design and online marketing test with Good Dog, since we had no outside funding to get this launched and no marketing budget going into it. I’ll just say thank goodness for WordPress, WooCommerce, and a tremendously creative mind. The website was built in WordPress with WooCommerce. It was launched nine months before the company’s product line was even ready to start selling. I designed a content marketing plan to build the company’s email list that launched in May 2016, around Dog Bite Prevention Week. Jenn developed a curriculum for children to act more responsibly around dogs without the fear of getting bitten called, SAFE. 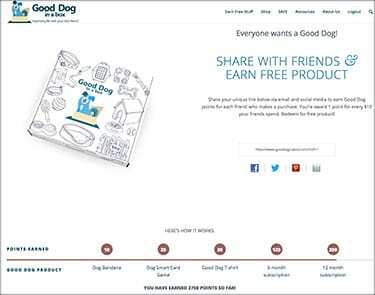 I took her message and created a series of content pages on the Good Dog site with animated videos and downloads to act as a lead generation tool to build the launch list for the products to come later. 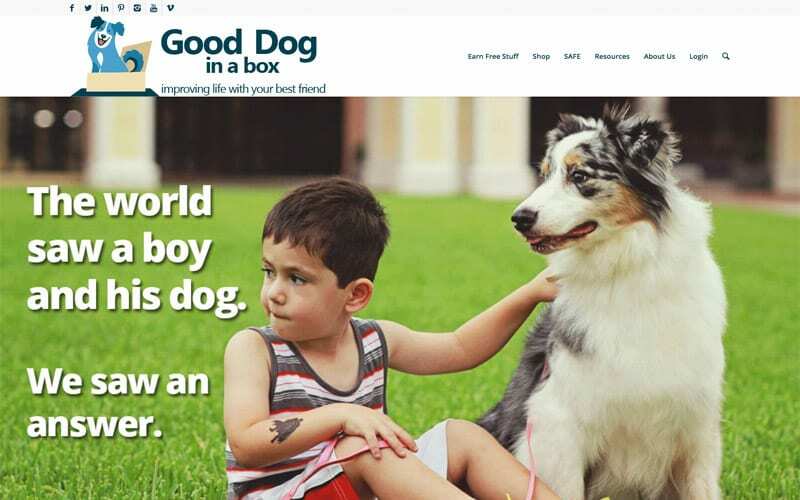 The SAFE campaign was a huge success, garnering more social shares during Dog Bite Prevention Week than other well known brands in the market, such as the AKC. It increased Good Dog’s unique visitors by 4,226% and increased the number of visitor sessions by 2,964% over previous months. Additional SAFE campaigns were launched later in the summer of 2016, including How to Be SAFE While Playing Pokemon Go With Your Dog. This campaign was enthusiastically shared internationally and resulted in the main video being subtitled in Spanish. The company’s Good Dog blog was also launched with regular posts about reward based dog training and advice on how to pick a good dog for your family. A great idea I picked up from Michael Hyatt’s website was a gallery of photos with positive messages to share in social media. I added Good Dog’s shareable dog quotes with fun and inspirational messages related to dog for visitors to share with their friends. The WordPress page was designed with a simple photo gallery and leads visitors to unique pages for each picture to increase SEO value. As a former Constant Contact platinum level solution provider, I have really grown to love MailChimp and the automation processes built into this email management product. MailChimp for WooCommerce was implemented so all email addresses collected on the site, were automatically updated into MailChimp. With the WooCommerce integration, automations were set up to send different series of emails to different types of visitors and customers, based on the actions they were taking on the website. To increase lead generation on Good Dog’s site, I built OptinMonster popups to present at certain times during a visitor’s session. I was careful to set customizable rules that controlled the popups to present but not continually annoy visitors. The OptinMonster popups increased email signups by 58% on the site’s blog pages and 35% on some of the content pages related to the SAFE program. OptinMonster comes as part of several of The URL Dr’s WordPress and WooCommerce hosting plans. 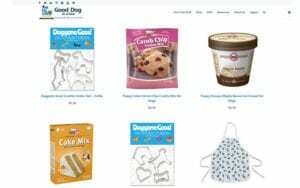 As the content marketing campaign began to pick up steam, I continued to build out the e-commerce functionality of the website. I chose WooCommerce because of its flexibility and the ease with which it could be customized. 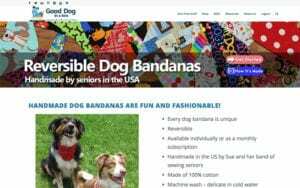 Good Dog was first and foremost a subscription box company, so the WooCommerce Membership and Subscription extensions were implemented. Landing pages were designed to sell the subscription products in two different types, a full version and a lite version. Each of the versions were sold in three different sizes depending on customer’s dogs, in addition to having kid t-shirt sizes. 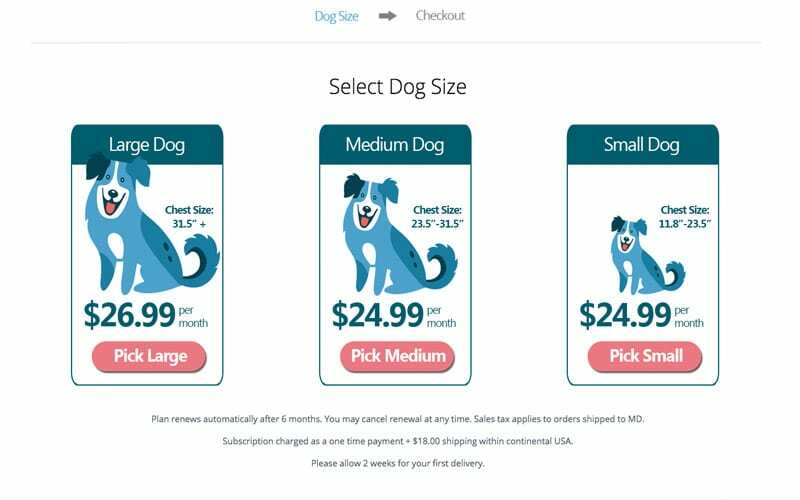 Custom coding of the landing pages allowed a streamlined process for customers to easily pick which subscription they wanted, the size of their dog, and the size of their child. Standard product page layouts that came with the theme were utilized for standard products and add-on sales. 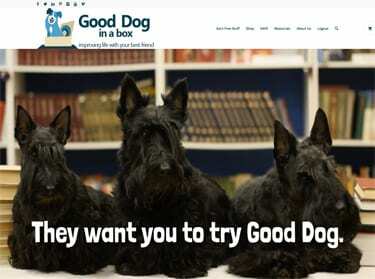 The Good Dog subscription plans were set to auto-renew and could be cancelled by customers at any point in time, by logging into their online account and changing the delivery cycle. 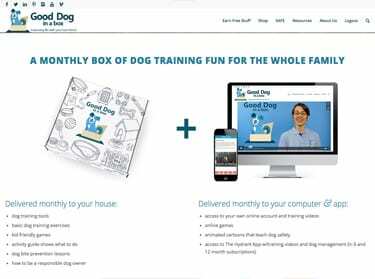 Part of Good Dog’s subscription is having online training videos that match content being delivered to homes via the monthly box. WooCommerce Sensei was installed and set to drip video content each month as the boxes were hitting homes across North America. When customers subscribed to one of the plans online, they were automatically set up with a membership account to the videos housed in Sensei, so there was no manual work for turning subscriptions on and off. 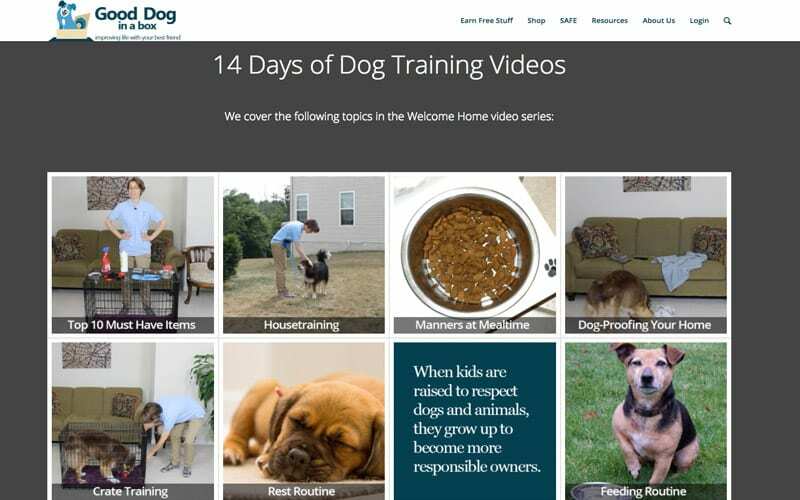 The Sensei plugin allows customers to correspond with a professional dog trainer if a family has questions while going through a training game, from within the page where each video is embedded. Downloadable content was included in some of the lessons to provide extra value add each month, without the additional expense of producing another piece of printed material. 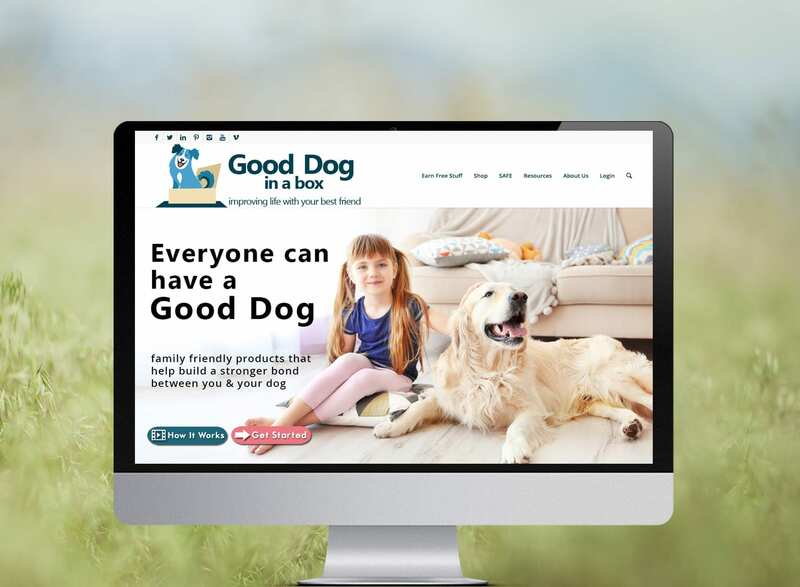 Good Dog’s main subscription was a direct to consumer product, but components of the subscription box were products that could be wholesaled to various types of companies in the dog industry. I needed to address both wholesale and retail sales with the new website. 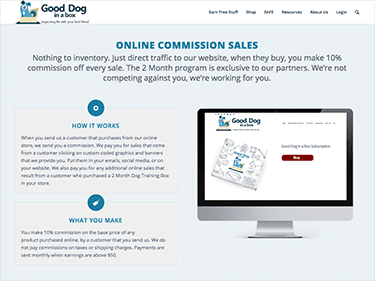 I’d dealt with affiliate marketing for more than a decade, so I designed the Good Dog Partner Program, an affiliate marketing program for vets, shelters and rescues, dog groomers, dog trainers, pet bloggers, and retail outlets selling dog related products. Partners could sign up and be instantly approved to be an online partner where they could earn a 10% commission by sharing links to the Good Dog site in their social media, in emails, or on their websites. I created dozens of ad banners and collateral graphics for partners to use and share. Partners could fill out an additional form that asked for resale tax identification and corporate status information to be manually approved to be a wholesale purchasing partner. As the manager of Good Dog’s Partner Program, I would manually add a partner to a special Wholesale Partner Membership I created with the Membership extension. Wholesale Members would be presented with product pages that were “hidden” from the general public. These pages allow them to purchase the company’s wholesale products. In addition, different email automations were set up in MailChimp to deliver messaging to each of the different types of partners Good Dog was signing up. Even though the website offers different programs for different types of partners, all the memberships and affiliates feed into the same program. I had been very interested to read an article written by Tim Ferriss, “How to Gather 100,000 Emails in One Week,” about the launch of the super successful shaving brand, Harry’s. The article detailed, down to providing code in GitHub, a program they designed to reward people who shared their url address in advance of the product launch. When visitors entered their email address and signed up to receive product launch information, they were given a url address with a customized tracking script to share with friends on social media and in email. If their friends also signed up to receive product launch info, they earned free product. 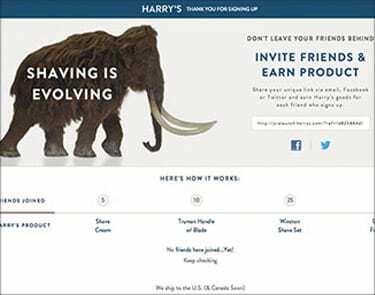 The Harry’s page had a sliding scale that let visitors see how much free product they’d earned. Unfortunately, the free code provided in the article was not for WordPress. 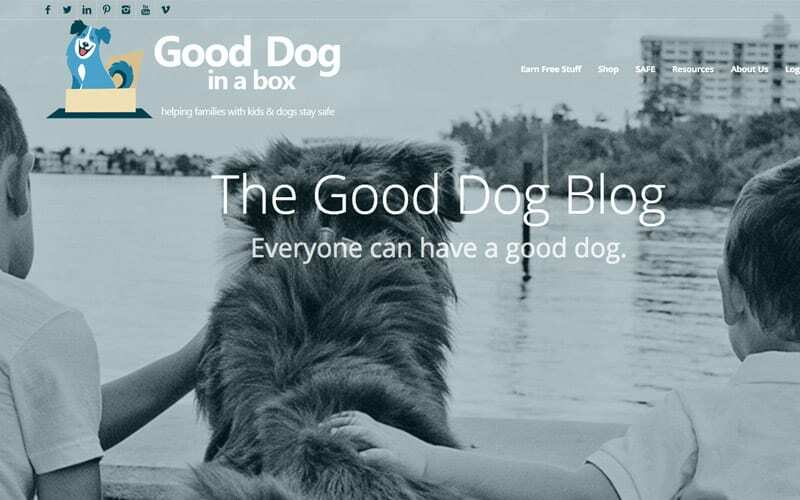 But, because of the ease with which WordPress and plugins can be customized, a similar program was designed for Good Dog, called Share The Box. I had Harry’s original functionality changed just a bit to reward Good Dog’s fan base with free product when their friends actually purchased product, not just for entering their email address. A customized url address is given when a visitor enters their own email address to join the program. Links are provided to share the url right from this page. Visitors can track what they’ve earned by a chart on the page that shows in real time what they are eligible for. Visitors can redeem their free merchandise or apply points earned for discounts at a rate of $1 off for every $10 spent, through the Good Dog shopping cart. Good Dog’s first product, a dog bite prevention card game called Dog Smart, started shipping in December, and the company’s first subscription box started shipping in January. The content marketing program that started before the products began to sell, helped the company build an email list of over 20,000 names to market to. 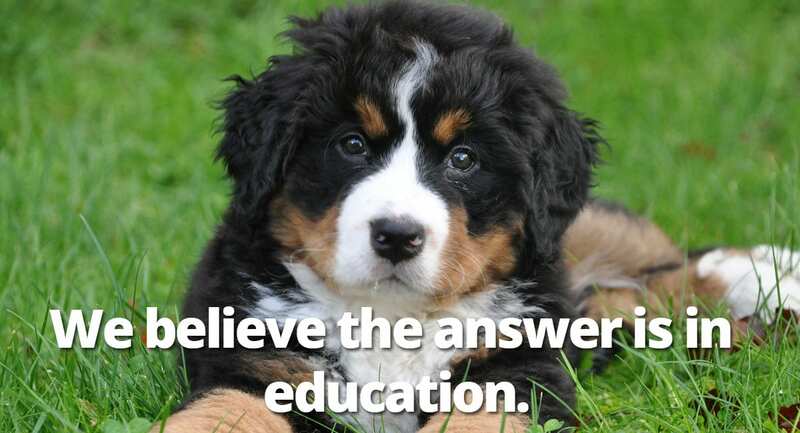 The free SAFE dog bite prevention program put the company in front of potential partners and sponsors at a national level. In the months ahead, the company will be switching it’s focus from product development and launch activities to online marketing and business development partnerships. Good luck to Good Dog!